More than 70,000 patient visits! Healing Hands was founded in 1997 by the mission committee of First Presbyterian Church in Bristol, TN. After reading a news article about the alarming number of people in the United States who live without insurance, the committee was inspired to start a clinic to provide much needed services to these people. What began as a small clinic with only a few hundred visits per year has grown to a full-scale health services facility with over 6,000 patient visits per year, providing medical, dental, vision, chiropractic and counseling needs. Our ability to continue offering these services to the working uninsured is only possible because of the overwhelming support of our community, and we are so grateful! 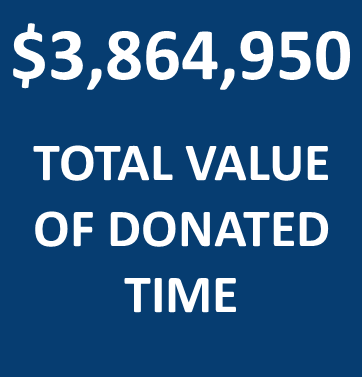 Volunteers make a difference in the lives of our patients! 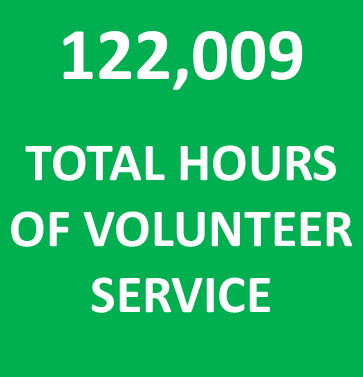 On behalf of the 10,000 patients YOU have helped us serve in our 20 years, we sincerely thank all of our volunteers. Our volunteers include physicians, nurses, dentists, oral surgeons, dental assistants, dental hygienists, churches, office workers, patient screeners, individuals and other organizations in the community. Look at the difference you have made over the past 20 years! 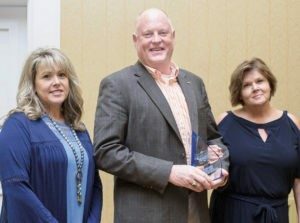 We are excited to announce that on July 21st at the Meadowview Conference Resort and Convention Center in Kingsport, the students and volunteers of Healing Hands Health Center’s Dental Clinic were awarded a 2017 Healthcare Hero Award by The Business Journal of Tri-Cities TN/VA. Through the use of volunteers, we are able to provide our services at a minimal fee of $20 for dental cleanings, $35 for dental visits and $50 for oral surgery; however, no patient is turned away for their inability to pay. Our clinic partners with both the East Tennessee State University Dental Hygiene Program and the University of Tennessee College of Dentistry in Memphis, TN. 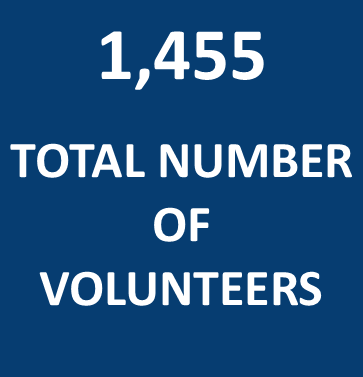 Our volunteers include dentists, dental assistants, dental hygienists, patient eligibility screeners and lay volunteers. These students and volunteers have had 22,500 patient visits over the last 20 years, providing free or low-cost services with a market value of more than $4 million. Healing Hands Celebrates 20th Anniversary! 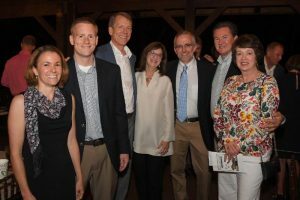 We had more than 275 guests join us at The Olde Farm on Saturday, October 7th for our 12th Annual Fundraising Gala. The Oktoberfest themed event was a fun evening with a polka band, traditional German food and Bavarian dance! This event is our largest fundraiser each year and provides 10% of our annual operating budget. Proceeds from the fundraiser go directly toward helping our patients from Northeast Tennessee and Southwest Virginia. Thank you to all of our supporters who helped make the evening such a success! Free food! Free t-shirts! Register for a chance to win a Food City $50 gift card! 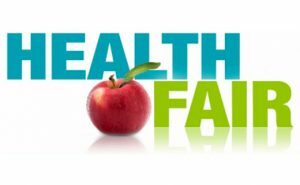 Healing Hands is offering a FREE Health Fair. It is open to the public, and everyone is welcome whether or not you have insurance. We are providing PAP smears, prostate exams, spirometry (lung function), EKG (if medically indicated), hearing tests, cholesterol and blood sugar tests, blood pressure checks, school and sports physicals and wellness education. Call 423-652-0260 (ext. 3) for more information or to schedule an appointment. Dawson Willis, who is the son of volunteer dentist Dr. Dale Willis, chose Healing Hands as the sight to work to obtain his Eagle Scout. 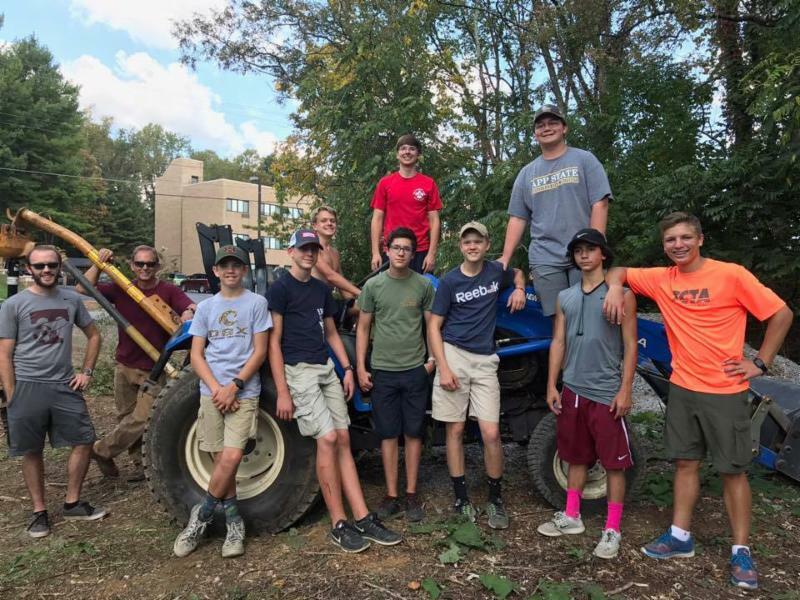 His Boy Scout Troop worked for several days to clear a path and seating area with benches for our patients to enjoy while visiting Healing Hands. Thank you, Troop #3! We Will be Hosting the Bristol TN/VA Chamber After Hours on November 16th! Please join us as we celebrate our 20th Anniversary! We moved into our new facility in August 2015 and will be providing tours for those who haven’t had the opportunity to visit our new clinic. The celebration will be held on Thursday, November 16th from 5:30 PM to 7:00 PM at 245 Midway Medical Park, Bristol, TN.